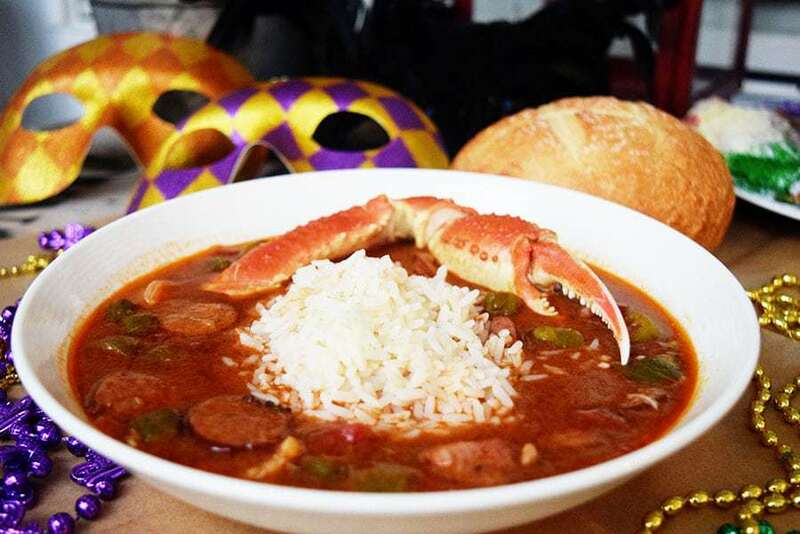 Mardi Gras inspires all these wonderful New Orleans influenced dishes! 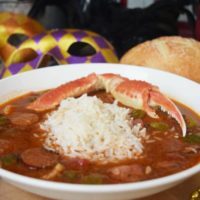 This Cajun Seafood Gumbo starts with a roux and is finished off andouille sausage, shrimp and crab meat! 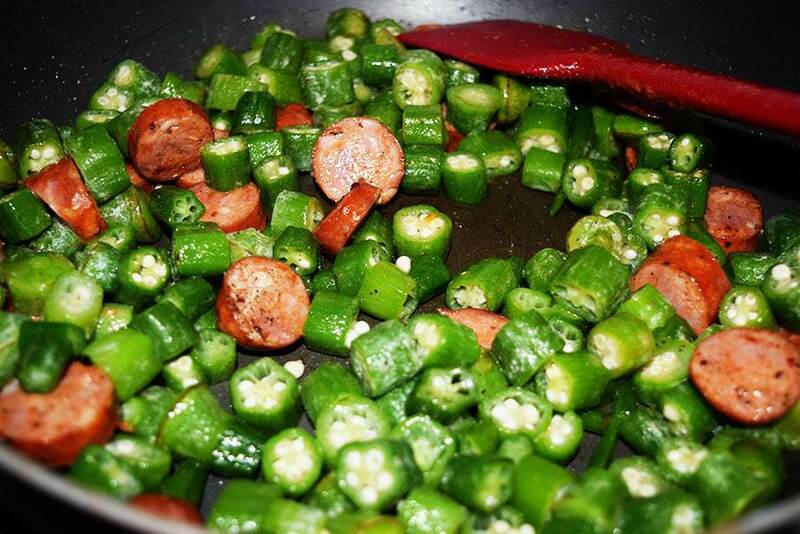 It’s a classic Southern Dish, after all it has okra in it y’all! I have to say how much I love this dish! It’s spicy, well seasoned and full of flavor. Packed with delicious ingredients that you can really change up to suite your taste. It really isn’t any harder than making a stew. Once all that stirring is done ya got this one. 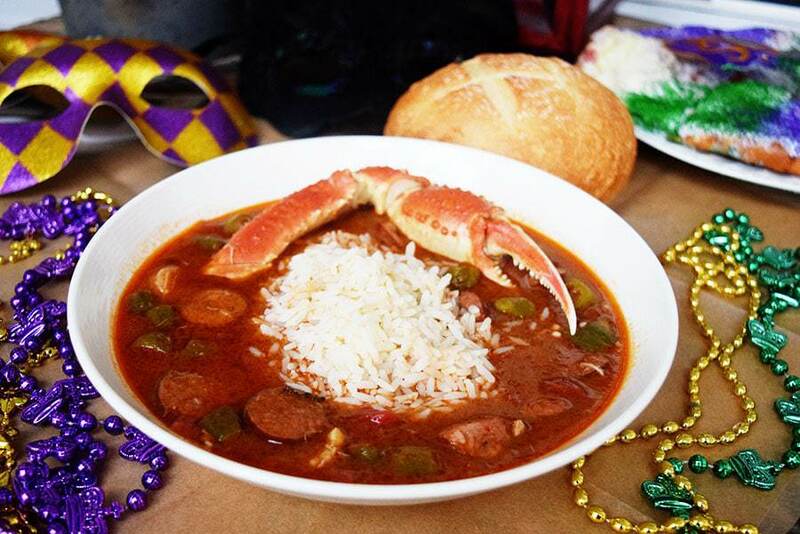 Can’t you just taste that spicy andouille, succulent shrimp and oh that lump crab meat. I like to throw in some claws for good measure too. A “roux” is basically equal parts flour and some type of oil. I like to use bacon grease that I have saved. Cause you know every good southerner has a mason jar of bacon grease hanging around the kitchen! You can use a vegetable or canola oil as well. You want to get as close to a chocolate color as possible, this will intensify the flavor. Don’t be walking away from this one. You do not want to burn this masterpiece. It’s going to take about 20 to 25 minutes to get there. After that roux is done is all easy going from here on out! Get your veggies in the food processor or blender to make a paste and and into the roux it goes with the sausage. Let it simmer while slowly adding in your broth. 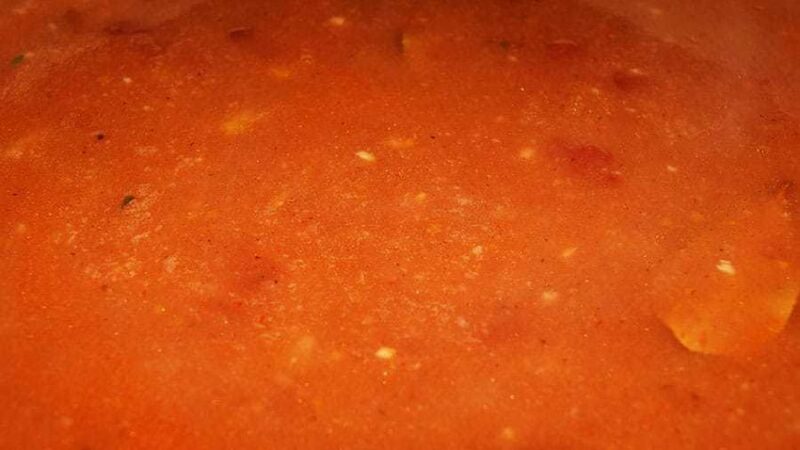 Lower the heat and add in your sugar and spice and all those tomatoes and sauce. It’s starting to get good!! See this is a breeze! Let this simmer about 45 minutes and then add in the gumbo file powder. Let this cook another 15 minutes. Meanwhile grab some more bacon grease and saute your okra and vinegar. With a slotted spoon move the okra to the pot. Then add in your crab, shrimp and Worcestershire sauce. Cook another 45 minutes! 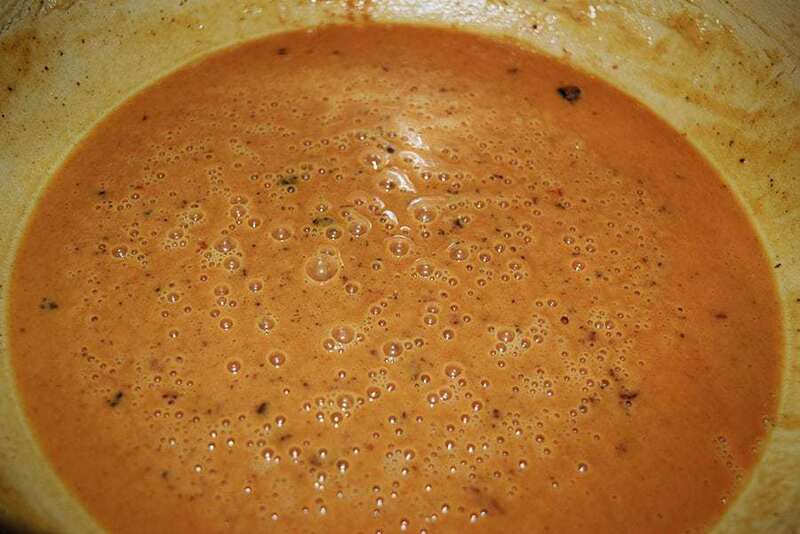 Make a roux by whisking the flour and 3/4 cup bacon drippings together in a large, heavy saucepan over medium-low heat to form a smooth mixture. 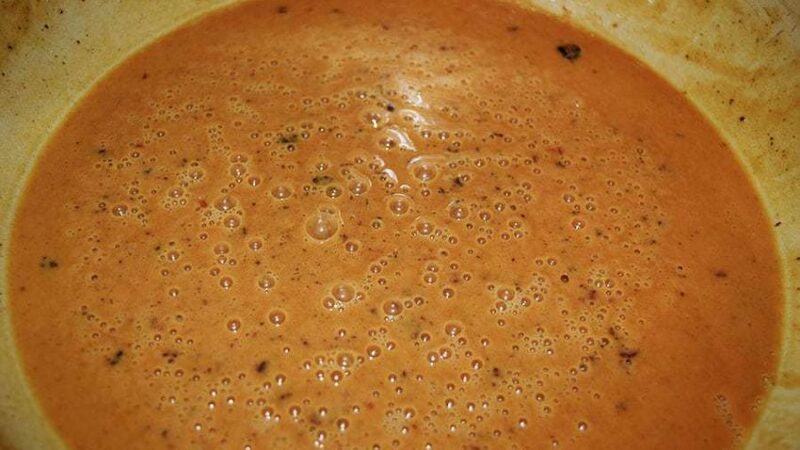 Cook the roux, whisking constantly, about 20 to 30 minutes, until it turns a rich brown color. Whisk constantly or so that the roux does not burn. Place the celery, onion, bell pepper, and garlic into a blender or food processor, and pulse until the vegetables are very finely chopped. Stir the vegetables into the roux, and mix in the sausage. Bring the mixture to a simmer over medium-low heat, while slowly whisking in the beef broth. Add water and bring to a boil. Reduce heat to a simmer, and mix in the sugar, salt, hot pepper sauce, Cajun seasoning, bay leaves, thyme, stewed tomatoes, and tomato sauce. 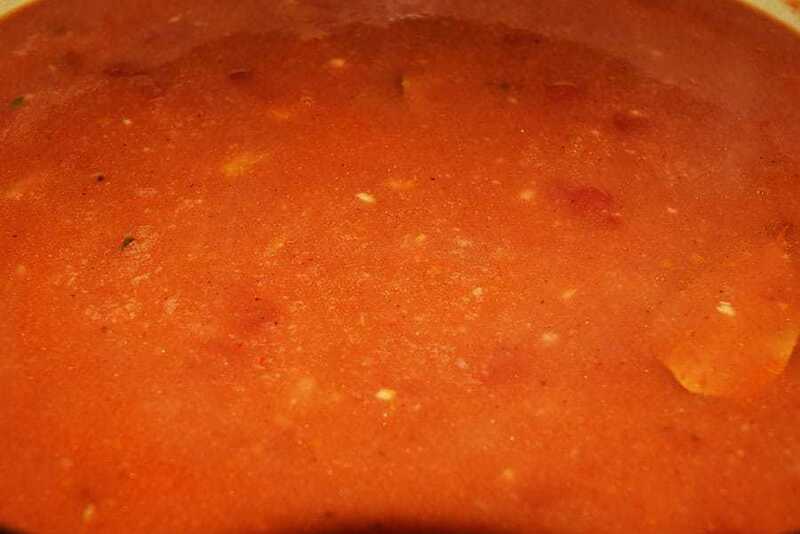 Simmer the soup over low heat for 1 hour; mix in 2 teaspoons of file gumbo powder after 45 minutes. 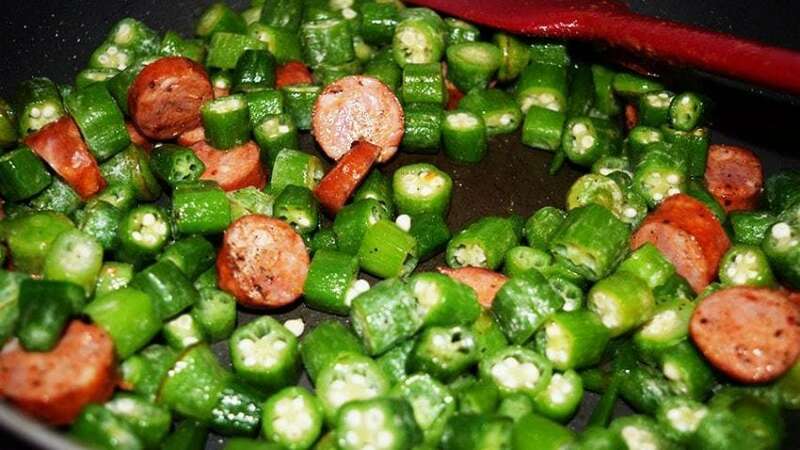 Meanwhile, melt 2 tablespoons of bacon drippings or butter in a skillet, and cook the okra with vinegar over medium heat for 15 minutes; remove okra with slotted spoon, and stir into the simmering gumbo. Mix in crabmeat (I sometimes do ½ pound crabmeat and ½ pound in shells), shrimp, and Worcestershire sauce. Simmer for about 45 minutes until all the flavors are blended Just before serving, stir in 2 more teaspoons of gumbo file powder.